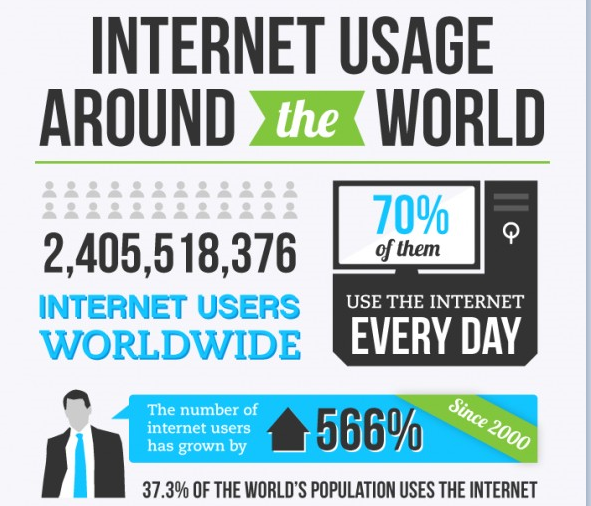 Did you know that 37.3% of the world’s population uses the internet? And the number of internet users has grown by 566% since 2000? Yes, the last 15 years have seen a phenomenal spike in the overall use of the internet and this figure is only set to increase further. In 2015, marketers and businesses across the globe witnessed a significant change in the use of the internet. A study conducted by AddThis found that more people preferred using their mobile phones to desktop computers for searching things online. A total of 4.07 million global shares are witnessed on a daily basis across devices, wherein 62% of users prefer desktop sharing and 38% of them opt for mobile phones to share. The growth in mobile shares has increased by 32% since 2014. How is this change benefiting businesses? Quick interaction and simple internet transactions help in converting your visitors into customers. Website development is the professional creativity and functionality that can uplift the online presence of a business. It gives them the opportunity to go beyond their local market and target consumers on a global basis. As of September 2014, there are 1 billion websites in the digital space – so you can imagine the demand and supply of websites. And since there are lots of online tools that enable easy web development, even individuals are not shying away from setting up their own online space. While desktop computers and mobile phones have their own fan following, tablets have also created a space for themselves in the digital world. From watching live TV on-demand and listening to podcasts or surfing the internet, tablets have enabled a far more convenient user experience. 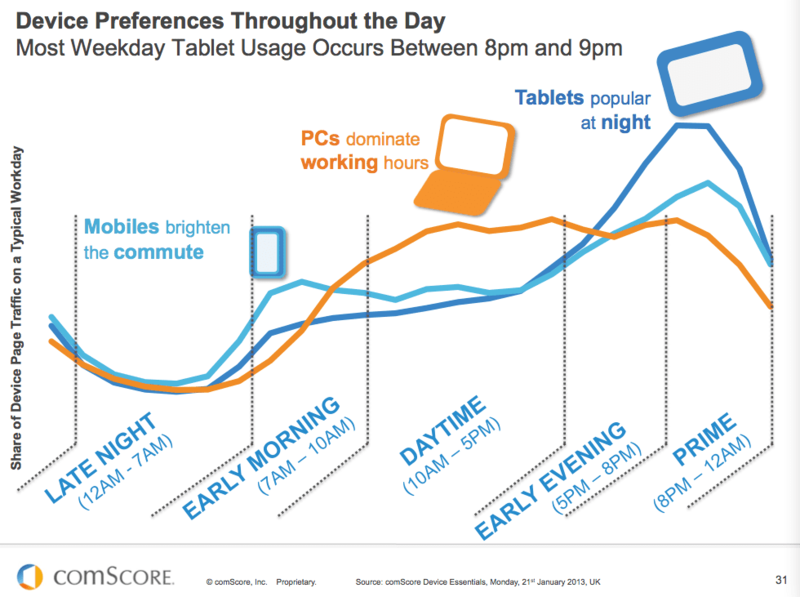 While mobile phones are handy during travel, desktops still dominate working hours as most companies still prefer it over offering laptops. As far as tablets are concerned, they have replaced even books as the favourite companion of a bibliophile and have enabled TV viewing while on-the-go. An average user of the internet spends 28% of the total time spent on social media – which is approximately 1 hour and 40 minutes, says Neil Patel. For a business – small and large, that’s indeed a good news. The time frame gives them the opportunity to connect and communicate with 2.307 billion active social media users – which is a huge number. Thankfully, most businesses are seizing this marketing opportunity with 81% of them being active on social media themselves. From 2013, social proof has gained importance as the customers today have access to unlimited information and prefer doing their own research before engaging with a business or making a purchase. It is nothing but a psychological phenomenon where people assume the actions of others in an attempt to reflect the correct behaviour for a given situation. Marketers need to understand the importance of leveraging this in their marketing efforts because the information available on social media really influences the customers. If you have observed, the demand for content for the digital platforms in the last two years has grown manifold. From blogs, white papers, case studies and website to social media and emailers – the power of the written word is being seen everywhere. Naturally, the focus of marketers has shifted to using content for lead generation, building brand awareness and strengthening customer relationships. And this is possible because people are responding to informative content in a positive manner. The industry is also seeing a shift in business marketing budgets towards content. They have not just realised the importance of inbound, but have found a common ground with their audience to connect on. Information clubbed with use cases of what the business has to offer is the standard approach followed by marketers. But that’s not all, there are so many other trends that have risen on the internet, that it is practically impossible to list them all down. That’s how fast and effectively the internet user behaviour is changing! These various digital platforms have increased the amount of data that is available to the businesses. Think about how you had to put in some of your information like name, email ID, phone number, job experience, etc. while setting up your LinkedIn account. Now think of the number of platforms on which you did a similar thing. The consistent changes on the internet have made it harder for businesses to acquire new customers or keep up with the trends. But it has also given them an opportunity to dig into the available user data and create campaigns that are backed by their behaviour analysis. By targeting hyper-relevant audiences, marketers can find and reach their best customers and improve their marketing ROIs by manifolds. But the abundance of data available often results in overwhelmed marketing decisions. This is where companies like Wigzo offer machine learning tools that draw information from all the digital platforms, mine insightful data that a business might require and help them create highly personalized campaigns. The internet trends are going to continue changing every second. It is becoming increasing important for businesses to stay up-to-date with who their ideal customers are, what they are looking for and how they can fulfill those needs. What’s your take on the changing internet trends? Do you think these changes will continue to impact the way businesses market or place themselves in the target market?